Discovery Parks - Coogee Beach is the only holiday park in the Perth area which is directly on the beach while still only a seven minute drive from Fremantle. Coogee Beach is surrounded by the Coogee Reserve and a great public park with a children's adventure playground and BBQ's for your use. 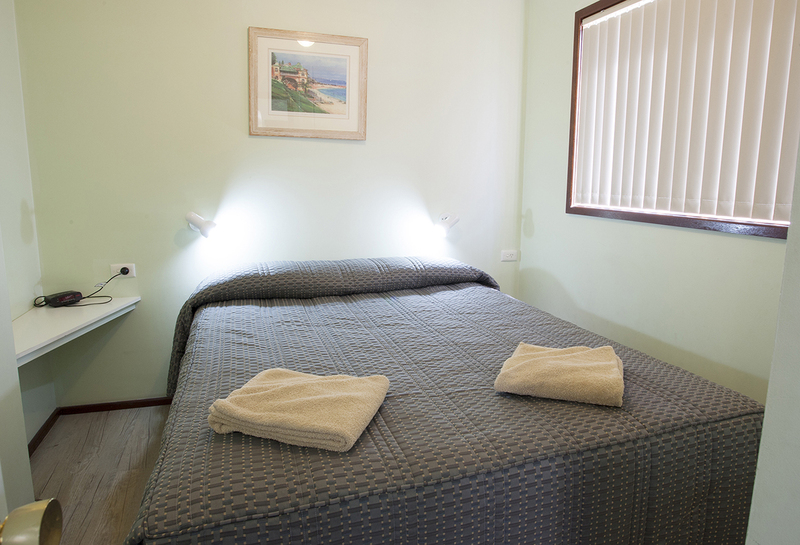 We are only a short walk to the nearby fishing jetty and Coogee Beach Life Saving Club and cafe. Self contained accommodation perfect for singles, couples, families, groups or the corporate traveler. Powered sites also available for camping and caravans. All tour bookings can be made by our friendly reception staff. 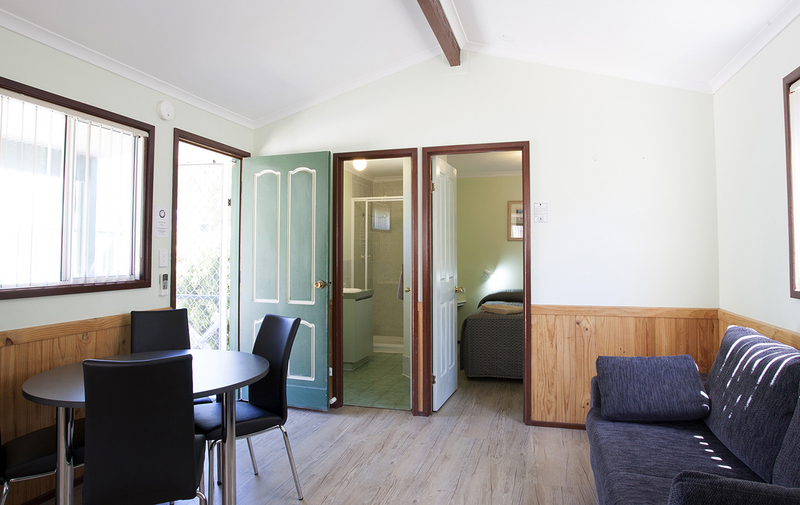 Our standard 2 bedroom cabins are self contained with full cooking facilities and equipment, own ensuite, lounge and dining area, TV & Video, reverse cycle air-conditioning, all linen and bedding, car parking next to the cabin. The master bedroom has a queen size bed with the second bedroom offering one set of bunks. Sleeps 4. 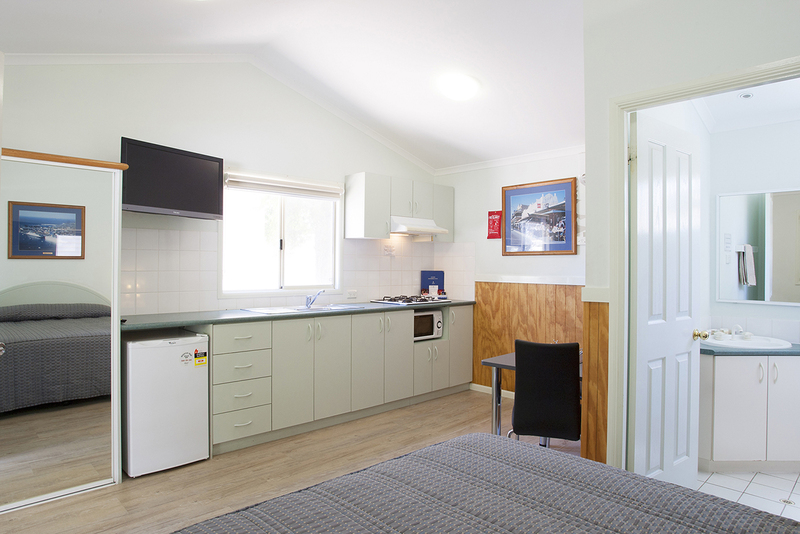 Our self contained 1 Bedroom cabins feature master room with queen bed, ensuite, kitchen with full cooking faciliites and equipment, dining area and lounge area, air conditioning plus reverse heating, all linen included and onsite parking. Self contained cabin with queen bed in the open plan living area and two sets of single bunks in the separate bedroom. 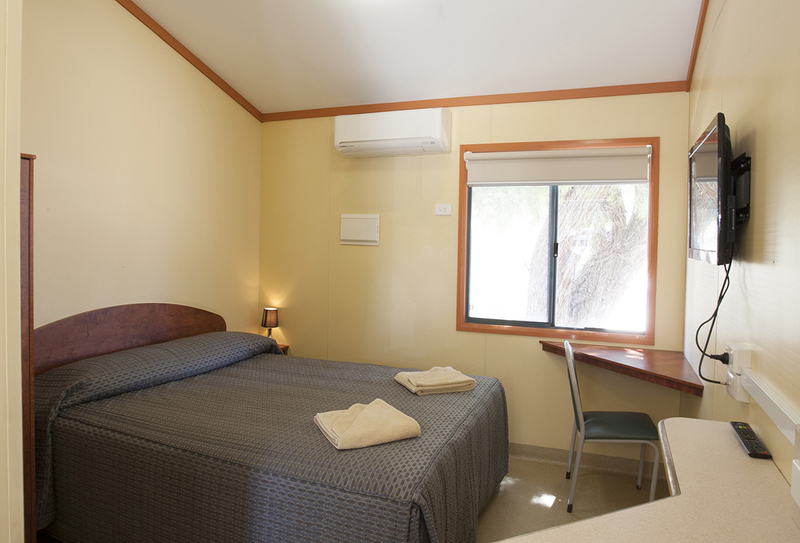 Full cooking facilities and equipment, couch and dining table, air conditioning and heating with all linen included and onsite car parking. This cabin has direct access to Cockburn Beach. Self contained 2 bedroom cabin, master bedroom with a queen size bed, second room with childrens size bunk beds, (suitable for children up to 12yrs), lounge & dining area, full cooking facilities and equipment, ensuite, air-conditioned and heating, all linen included. Onsite car parking available. Suitable for 2 adults and 2 children only. Self contained economy studio room open plan living. 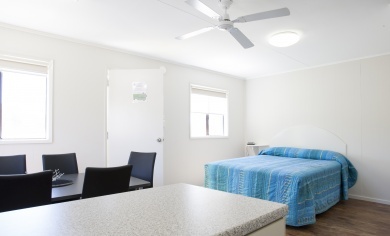 Queen bed, ensuite, TV, kettle, toaster and microwave, air conditioning, heating with all linen included. Car parking onsite available. Open plan self contained standard cabin with queen size bed, cooking facility and equipment, Ensuite, TV & Video small balcony with table and couple of outdoor chairs, air conditioning and heating. Car parking available onsite. Cancellation Policy Bookings cancelled 14 days or more prior to the arrival date will be refunded less one nights' accommodation. Where bookings are cancelled less than 14 days prior to arrival an amount equalling 25% of the total accommodation quoted above will be retained (or one night's accommodation whichever is greater). Bookings can be moved however prices may change depending on the new booking period and amendment fees may apply. Customers may hold credit on their client account for up to 12 months.